One of the most difficult things for a novice mixer to get a handle on is when and how to add effects. Most of the time, the mixer will become enamored of the sound and pour too much on just about everything, which usually makes the mix a washy mess. That's one of the cool things about working with a top mixer. A pro usually adds just enough that you notice if it's taken away, but not enough to stand out. But before you can develop a strategy for adding effects to a mix, it's a good idea to know exactly why you're adding them in the first place. To Create An Aural Space. One of the reasons why we record elements in stereo is to capture the natural ambience of an instrument, or the “aural space”. Since we can’t record everything this way due to track or storage limitations, a limited recording space, or because we’re close-miking, we usually just create this aural space artificially. To Add Excitement. Sometimes a delay or modulation effect added to an instrument or vocal will be just the thing to make it the hook or a major focal point of the song. To Make A Track Sound Bigger, Wider And/Or Deeper. This is the usual reason that a successful mixer will add effects to a track, but one of the hardest for a neophyte mixer to grasp because it can be so subtle. You can’t really tell the effects are there until they go away, but they never do, so how do you know? To Move A Track Back In The Mix (give the impression it’s farther away). One of the easiest ways to keep instruments from fighting each other for attention is to layer them by moving them back in the mix. We'll look into the use of effects more in a future posting. comScore's Video Metrix service recently reported that 161 million Internet users watched more than 25 billion online videos during the month of August in the United States, an all time record. So what are the most popular video sites? It shouldn't be a surprise that Google's various sites surpassed 10 billion views and that represents about 40% of all videos viewed online, and as expected, YouTube accounts for 99% percent of of that. Microsoft sites ranked second with 547 million, which represents just 2.2%, followed by Viacom Digital with 539 million videos viewed (2.1%) and Hulu had 488 million (1.9%). 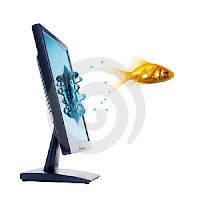 The duration of the average online video was 3.7 minutes. The average online video viewer watched 582 minutes of video, or 9.7 hours. 120.5 million viewers watched nearly 10 billion videos on YouTube.com (82.6 videos per viewer). 44.9 million viewers watched 340 million videos on MySpace.com (7.6 videos per viewer). The average Hulu viewer watched 12.7 videos, totaling 1 hour and 17 minutes of videos per viewer. 81.6 percent of the total Internet audience in the States viewed online video. What's most interesting is what's not said in the report though. According to Larry Gerbrandt of Media Valuation Partners and a former Neilsen senior analyst, you can take the massive number of views enjoyed by YouTube in one 24 hour day and they still wouldn't equal a single hour of prime time television viewing on one network! That means that although the power of Internet video is increasing and television is decreasing, Internet video still has a way to go to catch up. Just because Internet viewing is up doesn't mean that we're consuming less television, we're just watching more video in more places. MSNBC has an interesting post today called "Tech's Awesome Contributions To Rock n' Roll". They got some of it right, but missed out on some things that made me scratch my head. Giving them the benefit of the doubt, they're probably trying to be as accessible as possible so they avoided some of the insider stuff, but we don't have to do that here. So here's my version of the most awesome tech contributions to rock n' roll. Leo Fender's Telecaster - not the first electric guitar but the one that set the stage for everything guitar oriented that we know today. The Woodstock Sound System - as the MSNBC article points out, when The Beatles last toured in 1966, no one could hear them and they couldn't hear themselves because the sound systems were so inadequate. Just 3 years later, Terry Hanley's sound system at Woodstock allowed at least some of the 300,000 to hear what was going on. From that moment on, sound system design began to rise to the level of sophistication that it is today. Some say we've even regressed a bit since the 80's-90's but that's a discussion for another day. Stage Monitors - When I first started playing in bands, you heard yourself by pointing the sound system a little towards the stage and hope that you'd hear a little bit. Of course, this would never work on a large stage in a large venue, so the art of stage monitoring was born. Now it's taken for granted that a performer can not only hear himself, but get the perfect mix to compliment the performance. Indeed, monitors were a huge advance in the art of performance. The Mutlitrack Recorder - Thanks to recently departed Les Paul for this one. Les figured out not only how to pack 8 tracks on to a piece of magnetic tape, but how to monitor off the tape so you overdub and stay in sync with the previously recorded material. It's something that we so take for granted today, but where would our recordings be without it? The LinnDrum - Finding a great drummer was a real pain once upon a time. It seemed like it was always the drummer that couldn't keep time (what a contradiction) and that meant that you would never get a great recording. Roger Linn fixed that with his stand alone drum machine called the LinnDrum. Now you didn't need a drummer to get some great, solid drum tracks (but you did need a programmer). Drummer's kicked and screamed about how it was putting them out of business, then adapted and found that playing along with it actually improved their skills. Great little drum machines are cheap these days, and as a result, it's improved the time of most drummers by about a thousand percent. In fact, it's pretty hard these days to find a drummer at any level who can't play along with a drum machine or click track any more (which was really hard to find there for a while). Thanks, Roger! 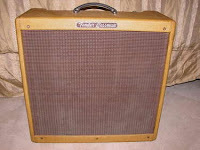 The Fender Bassman Amplifier - although MSNBC declared the Marshall guitar amp as the innovator, Jim Marshall was just trying to copy Leo Fender's original Bassman amplifier. He couldn't get it exactly right because he couldn't source the same parts in England, which turned out to be to everyone's benefit. But the original 1959 Bassman amplifier is still held in great esteem, and many claim it's still the best guitar amp every made. 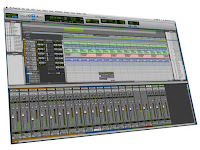 Soundtools (later called Pro Tools) - when the two channel digital audio workstation by Digidesign called Soundtools came out, it was looked down upon by the hard-core pros of the world. It didn't sound very good and was a bit clunky to use, but a few of us saw the future. And it wasn't that long before the future was here with the multitrack version called Pro Tools. 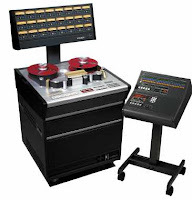 Again, the industry was slow to adopt a DAW as the centerpiece of a studio, but almost overnight Pro Tools made boat anchors out of the $150,000 Sony 3348 digital tape machines (you can't even give them away today). Pro Tools lead the way for the home studio revolution as well, making it possible to have a studio far more powerful than The Beatles ever had for just a few thousand dollars. Of course there are lots of other DAWs, and most of them are fine pieces of digital architecture, but it was Soundtools that turned the tide from an analog studio to a digital one. These are just some of the examples off the top of my head. Can you think of anything else? Mitch Bainwol, the chairman and CEO of the RIAA (the record label trade association) recently wrote a post on thewrap blog regarding the 5 reasons for optimism in the music industry. He obviously gives a very slanted vision of the current state of things, but it's worth taking a look. My comments are in italics after each point. 1. Our product, music, remains as popular as ever. While other businesses may scrap to generate consumer interest in their product, music remains as popular as ever, according to our surveys, and is an economic catalyst for many other industries. Think about some of the news in recent weeks: leading technology company Apple rolls out a new line of its phenomenally popular music-listening gadgets as well as a major upgrade of the iTunes music store. Videogame developers Harmonix and MTV Games introduce a seminal version of its Rock Band franchise featuring the iconic Beatles. I don't know if I agree that music is as popular as ever. Music doesn't relate today in the same way as in previous generations. It's not a way of life anymore like it was in the past. Blame the Internet, cable television, video games, or increased activities, but there's a lot more entertainment available these days and that's sucked some of the passion out of music. And there's a lot of artists and musical trends that have not captured the audience at all (I'm talking about rap and hip-hop, genres that major demos still can't get their ears around). That being said, music still is popular and in no danger of diminishing to the point of irrelevance. 2. Long live the album. The album’s demise is exaggerated. CD sales may continue to decline (though the success of the Beatles’ remastered catalogue demonstrates an enduring appetite for compelling music in physical form), but so far in 2009, growth in digital album sales is again outpacing digital singles (17.5 percent vs. 11.7 percent). Digital music is still a maturing marketplace, and fans are becoming increasingly comfortable buying not just the latest single online, but the entire album. Throw in the recent iTunes LP initiative from Apple and the major record companies and the album’s unparalleled significance is taken to the next level. He's right in that the CD is going to be around for a while, since there are still enormous numbers sold. They just don't sell in near the same numbers as before (about half as many as in 2000). It's decreasing in importance though, as an entire generation is now most comfortable with digital singles. That doesn't bode well for the CD's future. 3. But it’s more than just the album. Too often, observers assess the health and vitality of the music business simply by comparing year-over-year unit sales. But that narrow analysis of yesterday’s music business fails to capture the whole story. The modern music company is an increasingly diversified, full-service entertainment firm deriving revenues from a variety of different streams. Yes, but they're still not that good anything other than traditional sales in an old distribution model (they are getting better though, because they have to). And, it's the industry itself that seems to compare year-to-year sales, so who's to blame for that perception? 4. Record labels make or break the day. A handful of well-known bands have elected to distribute their latest albums without the help of a record label. More power to them. But, interestingly and tellingly, what connects the few oft-cited examples is that virtually all are established acts, with a devoted fan base and an established brand. That notoriety and fan support exists in the first place because of the unique marketing and promotional expertise of a record label. This much is true - no one has really broken big from Internet exposure and distribution alone yet. Every major artist (and the vast majority of minor ones) are still a product of the record "business" as it once was. At least at the moment, if you want to break out in a big way, you still need a major label. 5. Great music. TheWrap rightly plugged Jack White’s phenomenal musicianship. He’s worthy of the accolades, but he’s hardly alone. This fall, fans will hear another great slate of albums from the world’s most talented bands and artists, including Alicia Keys, Nelly Furtado, Pearl Jam, Norah Jones, Bon Jovi, KISS, Leona Lewis, Tim McGraw, Shakira, Rod Stewart, Carrie Underwood and countless others. This is yet another encouraging sign of a music business that is energized, vital, relevant and here to stay. Yeah, yeah, they're all stars. There always were and there always will be. Some are more deserving than others, but they all have an audience that loves them. That's not going to change, although the audience will be a lot more stratified in the future. You'll see fewer superstars, but more mid-level musicians with a strong following. For the full article, go the thewrap.com. Whenever I listen to songs from a young songwriter there seems to be a number of common problems that pop up, so here's a checklist that you can use before you deem your song finished. Regardless of how long you've been writing songs, these items can be useful, especially if you intend for your songs to be as commercial as possible. 1. Are the sections too long? Sections of a song that are too long cause the listener to rapidly loose interest. 2. Is there a clear distinction between sections? For instance, can you tell the difference between the verse and the chorus? Once again, listener interest wanes if a song goes too long without something new happening. 3. Does the song have a bridge? A bridge adds tension and release, keeping the interest high and enabling the song to build to a peak. 4. Does the song have a hook or identifiable riff? A strong hook or riff develops listener interest. 5. Does the song have dynamics? Dynamics (places in the song that are more and less intense) develops listener interest. 6. Does the song have a tight arrangement? See my previous post on arrangements. There's a lot more information in chapter 9 of my band improvement book How To Make Your Band Sound Great.